Great discussions on learning and communities at a workshop hosted by IPTS in Seville. I particularly enjoyed the contribution by Ettiene Wenger this morning (see Wordle of twitterstream above). I have been twittering the event and will write a longer post when i have 20 minutes to spare. In the meantime Grainne Conole has set up an excellent Cloudworks site for the event and you can also follow the twitter traffic by searching on the #ipts09 tag. 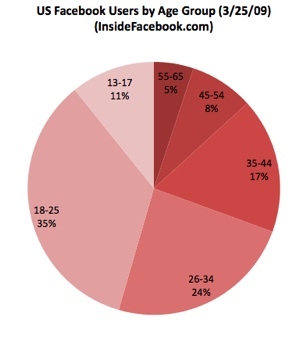 An interesting question raised in an otherwise somewhat flip article in the Guardian, commenting on the news that most Facebook users are over 25 and the fastest growing demographic group on Facebook are woman over 55, according to new research from Inside Facebook. (The article is curious, the author appears unsure as to whether a newspaper of the Guardian’s perceived gravitas should report seriously on the demographic makeup of Facebook users). One thing this research does confirm, once again, is the misleading nature of terms like the ‘Net Generation; and ‘Digital Natives’. But does Facebook have a discernible culture? No, I would say, Facebook is merely a social networking platform. But of course communities if users develop culture. And our use of adoption and use of tools and media help shape our cultures. Social networks are hardly new. it is just that digital platforms and tools allow the development of distributed networks – over space and time – and allow the sharing and of artefacts developed as part of that culture. witness the way Blip.fm (yes I know I keep going on about it) allows us to develop networks and communities around music. What capability it has produced – the shared repertoire of communal resources (routines, sensibilities, artefacts, vocabulary, styles, etc.) that members have developed over time. (see, also Wenger 1999: 73-84). Most communities on Facebook or Blip.fm are not communities of practice as defined by Wenger. They might better be defined as communities of interest. But they do show features of the different dimensions identified by Wenger especially in terms of capability and that capability is in turn mediated by tools in the form of affordances. And yes, of course communities have cultures! Wenger, E. (1998) ‘Communities of Practice. Learning as a social system’, Systems Thinker, http://www.co-i-l.com/coil/knowledge-garden/cop/lss.shtml. Accessed March 27, 2009. This is my favourite site of this year. In fact I could see me wasting so much time on blip.fm that i have limited my access to after seven in the evening (may have to fit kid proof software to reinforce my will). 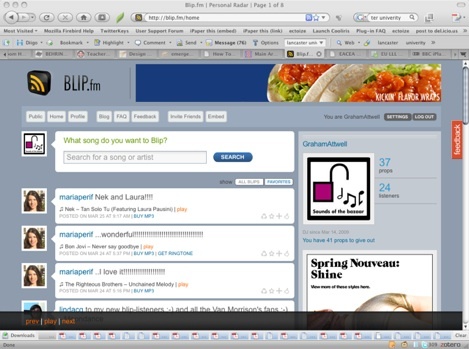 For the initiated what is blip.fm? It is a site which allows you to search for music, play music and share it through a 150 character message. Integration with twitter means what you are playing is automatically posted to your twitter friends (although there is an easy override if you feel embarrassed about your musical tastes. You can follow people and their music appears on your home page. And friends can send you ‘props’ as an acknowledgement of a track they like, which you can in turn pass on to others. That’s about it. Why does it work so well? Partly because it features an attractive interface, it works every time and it is a very short learning curve. But above all because it enables something we all like to do – to play music and share it with our friends. And it makes that just a little bit easier. I have spent many happy evenings sharing utube and Last.fm tracks over skype. But this is just so much better. And why am i going on about it? Not i assure you because i am looking for more listeners – although if you want to check out my cool grooves my user name is GrahamAttwell. Over the past few weeks i have been restling with use cases and requirements for a Personal Learning and Maturing Environment (and in the enxt two days I will try to tell you want differentiates a PLME form a PLE). But it seems to me that blip.fm shows the way forward in helping people do something they want to do in a social environemnt. When we can design sowfatre for learning as good as this we will be making progress. NB many thanks to CosmoCat and MariaPerif for encouraging my new career as a DJ! “The vice-chancellor of London Metropolitan University, Brian Roper, resigned today in the wake of accounting mistakes which left the university £56m in the red. 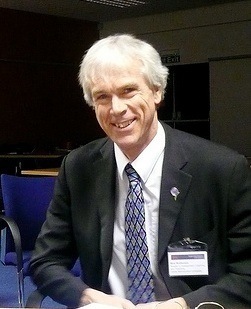 Roper will remain at the university until December but has left his role as vice-chancellor with immediate effect, the university said.” Guardian, 19 March, 2009. Why am I writing a post on something so unexceptional as a University Vice Chancellor resigning? After all, it happens with increasing frequency. The reason is I think it exemplifies what has gone wrong with our universities (at least in the UK). Education, as I have written before in an article called “e-Learning and the social shaping of technology” in a German language book entitled “Wissensgesellschaft”. Mythos, Ideologie oder Realität”, has become commodified. I don’t think the original English language text has ever been published so here is an extract and the full English and German versions are dnloadable at the bottom of this post. “Perhaps the most notable discourse which has shaped the development of e-learning is that of privatisation. Richard Hatcher (2000) (cited in Ball, 2004) distinguishes between endogenous and exogenous privatisation. the latter refers to the bringing in in various ways, of private providers to public services. The former refers to the re-working of existing public sector delivery into forms which mimic the private and have similar consequences in terms of practices, values and identities. This is what Glenn Riwowski refers to as the process of “capitalism making public schools / universities into value / commodity providing enterprises…institutionally rearranged on a model of capitalist development”. Privatisation requires the commodification of education: “social relations conducted as and in the form of relations between commodities and things” (Bottomore, Harris et al, 1983). “Commodification encompasses both an attention to the naturalisation of changes which are taking place in the everyday life of our production and consumption activities and more general processes of capitalism and its inherent crises and instabilities which underpin the search for new markets, new products and thus new sources of profits” (Ball, 2004). Commodification also embraces the displacement of use values by exchange values and describes how consumer culture becomes embedded in daily lives through an array of subtle process (Gottdiener, 2000). There processes can be seen as taking a number of different forms in education. One is the replacement of exchange value for use value in academic labour (Wilmott, 1995). More fundamental possibly is the repositioning of learners or students as customers or consumers of education. Education becomes a service to be consumed, based on standardised curriculum products which can be exchanged through a market mechanism and delivered by private sector providers. In order to provide a transparent market, quality has to be measured and quantified through comparable indices (piloted by the UK through Standard Assessment Tests and taken to its ultimate limit in the international Pisa study). Knowledge must be available as objects and consumption acknowledged through exchangeable credit based on outcomes. The development and implementation of e-learning, from the 1970’s onwards corresponded with the emergence of life long learning as a major theme on educational policy discourse. The shortening of the product life-cycle, the growing rate of technological change and implementation and increasing global competition required the extension of learning throughout the working life (Attwell and Heidegger, 2001). Computer based learning offered the promise of the cheap provision of mass continuing training. Furthermore, distance learning could be extended to allow the expansion of university education without commensurate investment in faculty and infrastructure. However this limited conception of lifelong learning was accompanied by three further policy prerogatives. First was that learning should be linked to the needs of the employment market, rather than to any broader conception of educational goals. Second was the idea of employability: that it was the responsibility of the learner (or consumer) to maintain and update their personal skills and knowledge to meet market demand (in the form of employment). The third and linked policy was that the extension of training would be controlled and provided by the market, with training ‘on demand’ and delivered by the private sector. Thus e-learning technologies would be developed by the Information Technology sector (despite their frequent lack of educational experience and expertise) and regulated by demand. This did not obviate the need for market intervention which took different forms in different countries. In some cases it took the form of measures to stimulate demand, as in the case of the UK government’s ill judged attempt to provide individual training vouchers or in other cases attempt to regulate supply as in Greece through the regulation of training providers. Of course there are multiple discourses in education and contradictory developments and trends in the introduction of e-learning. But as Basil Bernstein, referring to public general education policy, has pointed out “market relevance is becoming the key orienting criterion for the selection of discourse, their relation to each other, their forms and their research. This movement has profound implication from the primary school to the university” (Bernstein, 1996). The implication was far stronger for e-learning. In this regard it is interesting to note that the implementation of e-learning tends to be most advanced in those countries following an Anglo Saxon model where moves towards privatisation and commodification are also most developed and most accepted (for discussion of different models see Wickham ,2005). Underpinning education policy was and attempt to respond to changing economies and society. E-learning represented the opportunity for the expansion of capitalism into new markets. The commodification and privatisation of learning and the emergence of lifelong learning represented a potentially huge market. At the same time e-learning was not subject to the same localised constraints of traditional education and training delivery (or at least was not seen to be), thus providing the promise of considerable economies of scale. Thus educational technologies could be co-opted to the globalisation of economies and social exchange and production. Lifelong learning could be utilised in the liberalisation of labour markets, with just-in-time computer based learning allowing the development of a flexible and skilled labour force to meet short term employment needs. It is no coincidence that e-learning has made most impact in multi-national companies and in large enterprises. This will be explored further later in this paper. But one important point is that it was possible to portray e-learning as outside the ‘normal’ education system. 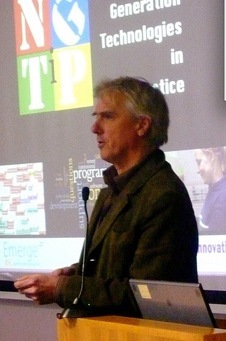 Indeed the very process of naming e-learning as such (whoever heard of over-head projector based learning) and thus distinguishing between learning using computer based technologies and any other technology, was important in overcoming opposition to the privatisation of the sector. Where public sector institutions were to provide e-learning this should be predominantly as a separate ‘project’ to their normal education and training provision, essentially offering a service in competition to existing market providers. And in return, private e-learning providers should be allowed to compete with public education providers though the expansion of corporate universities. Although the strength and penetration of these discourses varies in different countries, or different capitalisms, any reader familiar with European education projects will recognise most of these terms. So to will those working in the field of education technology. Most liberal educationalists, critical of these deep seated changes in education, have tended toward blaming e-learning as a causal factor or at best noted that educational technology has been used to advance such unwelcome erosion of education as a public good. Indeed, the evidence is plentiful. However it can also be said that the development of e-learning systems and applications has largely been constricted and shaped by the dominant discourses. 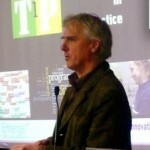 In particular e-learning systems have been shaped by managerialism, standardisation and commercialisation, in turn driven by the move towards privatisation and commodification and by the drive to transform the social process of teaching and learning into a set of standardised and measured products (Hall, 2005). Managerialism represents the changing role of the education system, and of workers within the system, not to imbue and distil learning but to manage the education process. Success is based on efficiency and numbers, in achievement of measured and reported outcomes. Educational technology could be co-opted to improve the efficiency of the education process. Instead of focusing on technology for learning, major investment has been in the development of Learning Management Systems (LMS), designed to handle the registration of students, the delivery of learning materials, testing and reporting. Learning Management Systems (or Virtual Learning Environments) are designed as a walled area outside the wider environment of the web, an institutionally controlled space into which students must enter if they are to be allowed to learn. Despite the recent spread of Open Source LMS, the development and maintenance of these monolithic systems is largely controlled by the private sector e-learning technology industry with a recent spate of mergers leaving control in the hands of a limited number of major multinational companies. Commodification requires the development of a mass of standardised products which in e-learning terms have taken the form of Learning Objects. Learning objects are small chunks of learning materials, conforming to a standard technical specification, which can then be sequenced for delivery through an LMS to particular target groups. It is perhaps unsurprising the the driving force behind the SCORM technical specification for Learning Objects was the US Ministry of Defence (who, incidentally, provide a vast subsidy to the private e-learning industry). Where once teachers were responsible for designing learning materials, now institutions are encouraged to buy learning materials from private providers, form the e-learning industry and from educational publishers. In the UK, newspaper advertisements encourage parents to pressurise their children’s schools to buy learning materials from one or another company. Digital rights management is designed to ensure only those institutions who are so licensed are able to use the learning materials. Learning is supposed to take place not through engagement with the wider environment and through social processes but through interaction with the sequenced learning objects albeit with the help of an on-line mentor and through participation in a closed forum. Assessment takes place through interaction with a bank of machine readable questions and answers. 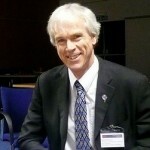 One of the driving forces behind the agreement and adoption of the QTI standard for computer based assessment was to create a market in question banks. Ok, this was written in 2005 and there have been many advances since based on the use of social software for learning. But the basic premise remains the same. Education is something to be bought and sold. the value of a university education is judged in terms of value added earnings potential. Research is judged in terms of numbers of publications. departments are judged by the money they bring in. education. ‘Leaders’ are bought in form industry and commerce – which is seen as a model to emulate. And now as the world financial system crashes then so do univerity finances. Not a surprise and it is quite right that those who pushed such policies, usually against the wishes of staff in the institutions, take the can. But getting rid of the leaders is only a symbolic act. We need to reassess the values we place on education and the role that universities play as knowledge institutions within society. And just as banks should be nationalised, not merely be bailed out under government ownership, so to should universities be brought back under democratic, community scrutiny and control. Last nights rant against the idea of digital natives seems to have caused a bit of a stir. My frustration with the term is not just because it is bad research. It is because we need models and concepts for understanding the profound changes emanating for the ways in which we are using technologies for communicating, sharing and learning. I work both as a part time researcher and a part time developer / implementer (and part time administrator and part time office cleaner! Research is important for us in helping design applications to support learning and working. Of course ideally we would do it ourselves but time and work pressure precludes the in-depth studies I would like to undertake (to say nothing of shortage of funding). So research findings and models are important in informing design and development. And Prensky’s model of the digital native is just wrong. It leads us down a blind alley and diverts us away from an understanding of the real world. Anyway the rant followedthe joint Jisc Emerge project / Educamp open online seminar on Enterprise 2.0. If you missed the seminar you can watch the recording on the Jisc Elluminate site. jamesclay @GrahamAttwell and let’s stop talking about the Google Generation while we’re at it. kevhickeyuk @GrahamAttwell Have you read Prenskys paper where even he is moving away from these terms? Just finished our latest Jisc Evolve / Educamp online seminar. This one was on the topic of Enterprise 2.0 and featured presentations by Pat Parslow and Willms Buhse. I thoroughly enjoyed Pat’s presentation which should be online tomorrow. But Willms’ presentation and the subsequent discussion became bogged down over the issue of digital natives (which he defined as anyone born after 1980) although he later agreed that the term was possibly not too useful. I would go further than that. The term was dreamed up with no research to support it but became popular in the media. OK – these things happen. But it is totally useless for trying to discuss any real development and use of new technologies. Repeated research has shown that age is not the only or even the main determinate in patterns of uptake and use of technologies for learning and exchange of knowledge. My own modest research into the use of ICT for learning based on case studies in 106 enterprises in Europe suggested that older workers were more likely to use social software for developing and exchanging learning and knowledge. This, we hypothesised, was because they often had more autonomy in undertaking their work and in using learning in the workplace. If that is true, then work organisation would seem to be the most important factor in introducing social software in enterprises. Amd that has nothing to do with digital natives! Today, Monday 16 March, sees the latest in our series of free, open online seminars jointly hosted by the Jisc Evolve project and The German EduCamp network. The seminar will take place on the Elluminate platform at 1800 UK time, 1900 CET. How will communication and collaboration change when digital natives are employed in senior positions? Changed knowledge management through chats, Twitter and so on? How and to what extent will blogs, wikis and so on promote the productivity and creativity of employees? Collaboration tools in the social web permit decentralized work. What is the workplace, what are the working places of the future? Where is the limit? How far can the boundaries of classic corporate structure in the sense of Enterprise 2.0 be driven? 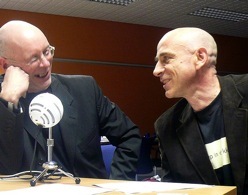 Another great edition of Emerging Sounds of the Bazaar LIVE from Loughborough. 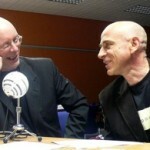 This show was broadcast from the Jisc Users and Innovations programme Next Generation Technologies in Practice Conference. The show was presented by Graham Attwell and Josie Fraser. It features George Roberts talking about the development of the JISC Emerge community, about building sustainable communities of practice in general and about Open Space technologies. George is followed by Mark Van Harmelen talking with Graham Attwell about Personal Learning Environments. Mark reflects on the stage of development of PLEs and whether or not it is possible to prescribe the use of an institutional PLE. He goes on to describe the so called Manchester PLE that he is developing with support from the Users and Innovation programme. 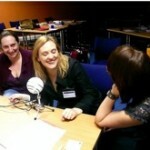 Nicola Whitton and Rosie Jones talk to Josie Fraser about the potential of Augmented Reality Games for enhanced learning based on their work for Jisc on the Argosi project. And Bob Rotherham from the Sounds Good project talks about the use of audio and MP3 recordings for giving feedback to students on their work. Many thanks to everyone who helped out with the programme, including Steven Warburton who hosted the chatroom, Joe Roso who acted as producer and Dirk Stieglitz for sorting out the technical set up. Music is by the Drunk Souls from the On Verra Plus Tard album from the Craetive Commons supported Jamendo web site. Back to the blog after far too long travelling around England and Wales. Amongst a series of meetings, I have been at the fantastic #Thoughtfest09 workshop in Salford and at the Jisc Users and Innovations programme Next Technologies in Practice Conference in Loughborough. there were so many ideas and so many great people I met I really do not know where to start. 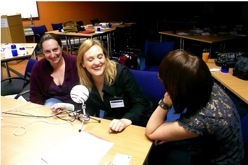 #Thoughfest09 was particularly good in that we got to do and try things. Doing things included sessions on podcasting and mixing music, on producing digital cartoons and playing the wonderful Argosi game (my group came last 🙂 ). And great project demos including the Jisc Users and Innovations funded Awesome and (as it is now called) the Manchester PLE project. The other factor was size. The venue limited us to 30 or so participants and that allowed everyone to actively contribute to the workshop. The Next Technologies in Practice Conference had perhaps less interactivity but once more featured an array of excellent projects. The Users and Innovations programme projects are now coming to maturity and the focus on user centred development can be seen in the imagination and creativity of the projects. A number of common themes are emerging. Firstly, we are now seeing the emergence of mature and lightweight user centred Web 2.0 and social software applications for learning. These applications break the mode of traditional approaches to e-learning. In short they are disruptive. 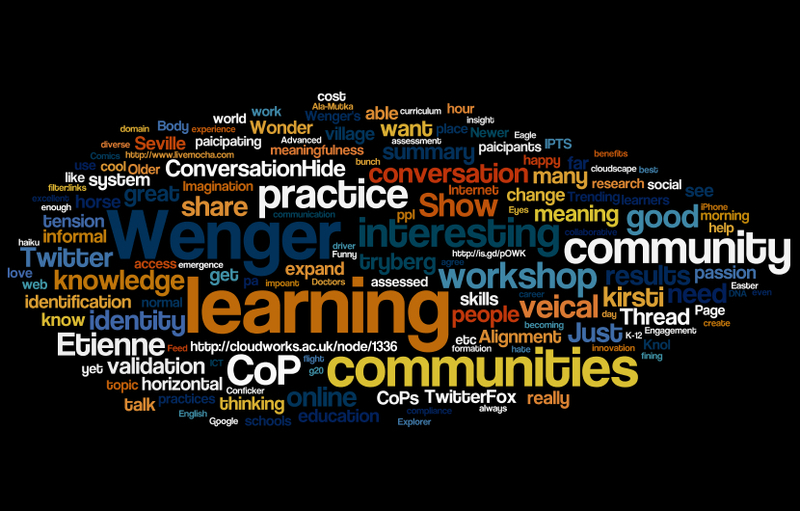 This Wordle based on tweets from from the second day of the Jisc conference provides a pretty accurate illustration of the issues. 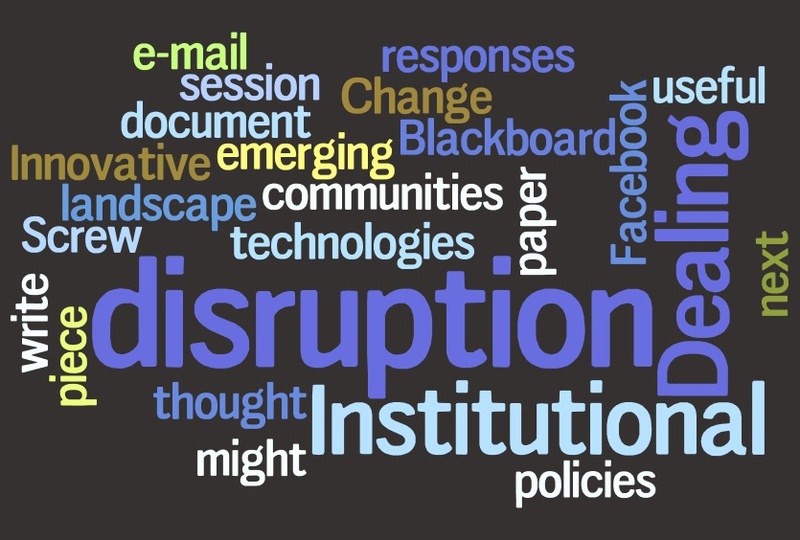 And whilst the edupunk approach remains attractive for small scale implementation and trialling, there is an increasing discussion on approaches to institutional innovation and change. The issue of staff training raised considerable discussion on Twitter. If true, it probably condemns most e-Portfolio applications to the dustbin! What is your strap line? What problem do you solve for me? What evidence do you have to show me that your solution works? Whilst this list might be seen as coming from an intsitional management perspective, it is not bad as a rubric for rapid and innovative project development. View more presentations from Carlos Santos. I get more angry everyday over the UK government’s total mishandling of the economic crisis and its associated social impact. This is the latest ridiculous announcement as reported in the Guardian newspaper. “High-fliers who lose their jobs in the recession will be able to retrain as teachers in just six months …..And those who are particularly gifted could become headteachers within four years …..The initiative, which is part of Labour’s public service reforms, will from September halve the minimum time it takes to train as a qualified teacher in England from a year to six months. Ministers hope it will attract credit crunch victims from the City and the country’s brightest university graduates, many of whom are now looking for jobs in the public sector. I totally fail to see what skills and competences former high fliers in the banking and finance sector have that makes them so suited for being a teacher. And besides anything else, they would need an extra six monthes course in ethics if they were seriously to enter a classroom.